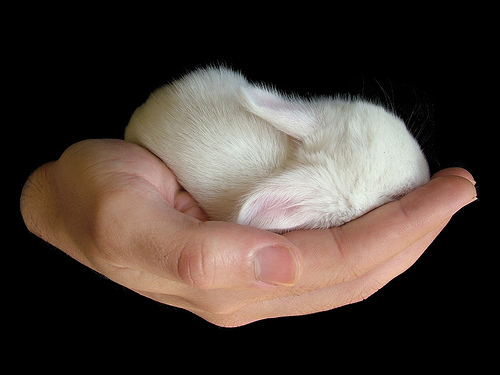 Check out this precious baby bunny, isn't this a sweet photo! Wow, so sweet, so soft, so small. Amazing picture, I love the texture of her hairs. They looks so soft like velvet.